This is Classical Futility inked version versus the color version. I like the inked version better. Reads better. All David Mask art is copyright protected 2009. Great graphic image David...you have a great mastery over you use of line. Great drawing! The thumbnail picture looked like a mayan engraving at first sight. 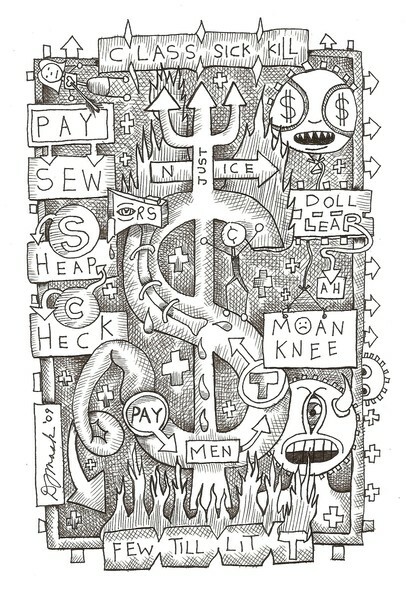 Artist Reply: The dollar sign does have that glyph-look. Thanks for your comments.